Today I’m going to show you How to add a Contact button to your Instagram Page. This can be an excellent addition to your business or brand profile as it affords you a unique means by which people or companies can contact you in case they need your product or services. 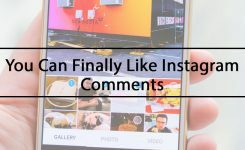 So if you still don’t know How to add a Contact Button to Your Instagram Page, this article will show you how as easily as possible. Why do I need a contact button on my Instagram page? Visitors of your page can directly contact you and its an excellent means of developing your brand and business opportunities. Anyone who wants more information about you and your brand can merely read your profile and then contact you quickly and conveniently. 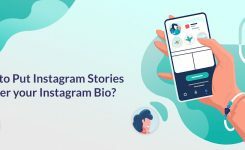 How to add a Contact button to your Instagram Page? 1- Go to your Instagram profile and head to the settings at the top right of your screen. 2- Now look for a switch to business profile and tap on it. 3- On the next page connect your Instagram account to your Facebook page. You should already have a Business page for your brand or your profile. Log into Facebook, grant permissions and select your profile. 4- Make sure to add your email, phone number and essential information you need to be seen by people who wish to contact you. Note! Make sure that the phone number you added its a Business phone, or an online number within Google with a voice-mail box as using your usual phone number if you are a small business is not smart. Also if you have a store, you can always add your location but never reveal your home address. That’s it on How to add a Contact button to your Instagram profile, and now people will be able to contact you easily. 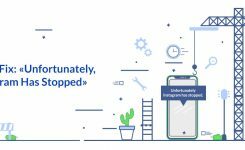 If you found this article useful, please leave a comment below and as always make sure to check out a few more articles.